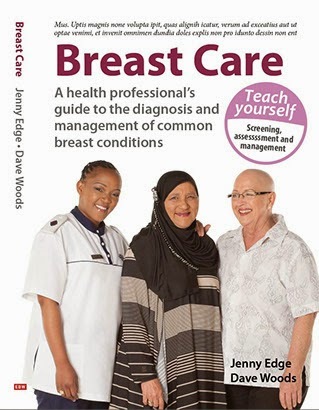 Last week, a colleague who is premenopausal and in her late 40s complained about aching breasts and asked me what she could do about them. It is a question that I am commonly asked. There is no satisfactory explanation for mastalgia (aching breasts) and it is definitely something associated with normal breasts and particularly in women in their 40s. Breast change with age. During your 20s, your breasts are in the proliferative (busy) stage of development. As you get older, the breasts start to age and by the time you get to your late 40s, your breasts have increased in size, may have undergone fibrocystic changes (dense tissue with small cysts), become fattier and so lost a lot of inbuilt support. As a result, women in their 40s have breasts that tend to move around a lot more and may feel very lumpy and tender. The question is what to do about it. If you are over 40 and haven't had a mammogram for a year, you should have a screening mammogram to ensure the tissue looks normal. After that, the best plan is to go to a specialist bra shop for a bra fitting (40% of women over the age of 40 wear the wrong size bra). Leave things for a month and if they are still uncomfortable, try a NSAID cream (available over the counter). I think some women do get relief from Evening Primrose Oil but when it has been subjected to large trials, it hasn't been found to be useful. No other dietary manipulation/drugs have been shown to work when they have been compared to sugar pills but please share your experience. Let us know what worked for you. In Cape Town, there are a number of good bra shops. Two that consistently seem to give a good service are Inner Secrets and Storm in a G cup.